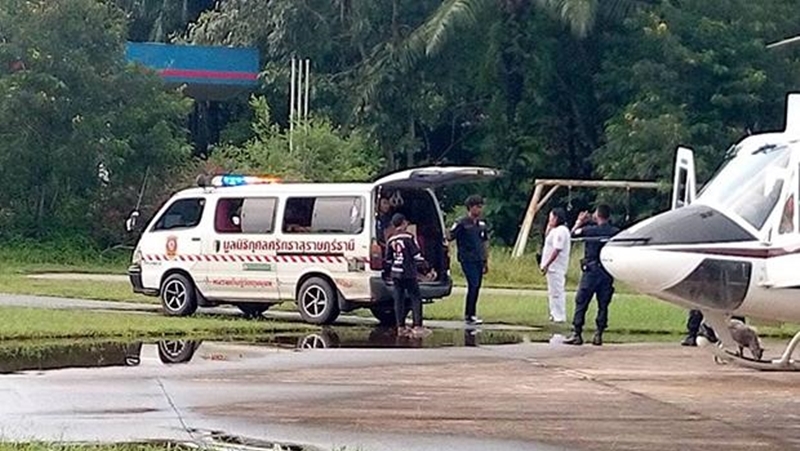 SURAT THANI: The body of a tourist from Moldova found dead on Koh Tao is being sent to Police General Hospital in Bangkok for a thorough autopsy to determine the cause of death. The body of Alexandr Bucspun, 33, was airlifted by a police helicopter from Koh Pha-Ngan to the Provincial Police Region 8 on the mainland in Phunphin district of Surat Thani yesterday afternoon (Oct 10). A van belonging to Satta Surat Thani Foundation, a rescue volunteer group, then took the body to the hospital in Bangkok. Mr Bucspun was found dead in the sea off Had Sai Ree on Koh Tao on Tuesday afternoon (Oct 9). The body was later sent for a preliminary autopsy at Koh Pha-Ngan Hospital in Koh Pha-Ngan district. Provincial police chief Maj Gen Apichart Boonsrirote said yesterday that a detailed autopsy would be conducted at Police General Hospital. Police have not yet concluded the cause of death and investigators are on Koh Tao to collect more evidence and interrogate witnesses, he added. Mr Bucspun arrived in Thailand at Suvarnabhumi airport alone on Sept 26 and checked in at Monsoon Gym and Fight Club on Koh Tao on Sunday (Oct 7). Aran Klaewklong, a security guard from Big Blue Diving, said he found a mobile phone, clothes, a hotel key, shoes and an ID on the beach at 1:30am on Tuesday during his routine patrol. When he returned to the same spot at 3am, the items were still there and he decided to alert police. The items belonged to the Moldovan. Police checked the room at the boxing gym where he was staying and found nothing suspicious.